For large government contracts it doesn’t matter which sector, you need confidence the job can be well managed and meet health and safety guidelines and project KPI’s. We have experience in the health, education and defence sectors and have a reputation for managing complex elements of a project on time and to budget. 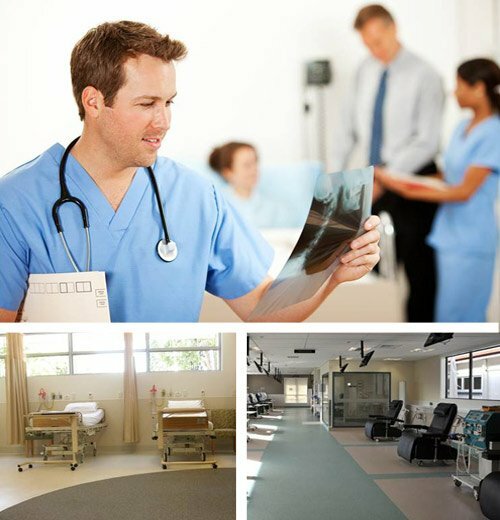 Our experienced team have a long track record of providing flooring solutions for the Government sector and can help you with the right advice, create custom designs (that are clean and simple or as complicated as you like) and manage your project end to end. We can complete one off projects on manage on-going contracts with maintenance elements.